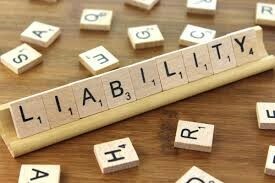 You are here: Home / Health and Safety Management / Contractors Health and Safety – What’s your liability? When it comes to contracting out for work, there can be many different people, from large organisations to sole traders, working on a particular project. All are managed and cared for day-to-day by different people; so the question is raised when all of these individual entities are combined into one project, who is actually liable for any incidents that occur on that site, and most importantly for everyone, who would be taken to court should an incident occur that requires such a measure from one of these individual entities on the project. In some cases, an agency may provide some people to the project on behalf of the contractor, however to start off, the agency is no longer liable as they have vetted these people up until the point of transfer to the project. It is then down to someone else involved to complete the necessary risk assessment. The end of chain, the employing organisation, actually has full and ultimate responsibility for all health and safety risk assessment for all people on site of the project. They are required to arrange and liaise to provide all people with health and safety information, and to cooperate and coordinate with those people to ensure it’s done. The employing organisation also decides on how the work is managed and supervised and agree the nature of works before work actually begins on site. In addition, they should absolutely be assessing the risks at work, and also consider the safety implications on site. They should select the appropriate contractor with sufficient skills and experience to minimise the opportunity for accidents and other risks to occur. The employing organisation will also be responsible for performing a risk assessment, the contractor should assess the risks based on their skills and experience, and then both the employing organisation and contractor collaborate together to reduce the potential amount of risks. Finally using all of this, they are then together required to provide information, training and overall instructions to all of the people involved on site of the project, then consider any resulting training needed to complete the project effectively and properly. If a contractor is employed as a manager of the project, they too will have responsibilities in respect of health and safety towards the people on site, and therefore be responsible for day-to-day enforcement and action. The contracting manager is also responsible for asking for information relating to risk assessments, safety hazards on site, risks on site, and safe systems at work. The manager is then required to ensure all suitable assessments are carried out and reported on, and most importantly they are communicated throughout the site to the people, irrespective of where they originate from, contractor, sole trader, or anyone else. As there is now a split in responsibility, both the contractor and the employing organisation will ultimately be responsible, however depending upon the occurring accident, the majority split would be decided by a court. Of course, whatever type of construction work you’re looking to undertake, being CHAS certified will better educate you as to your responsibilities when it comes to Health and Safety – and it could be a great asset to have when it comes to taking on bigger contracts. Click here to download our NEW FREE eBook, informing you of the benefits of CHAS to your business.